THEY LOVED THE CÔTE D’AZUR CARD! The Côte d’Azur Card? Our customers say they like it! Here are some of the latest things our customers have to say. 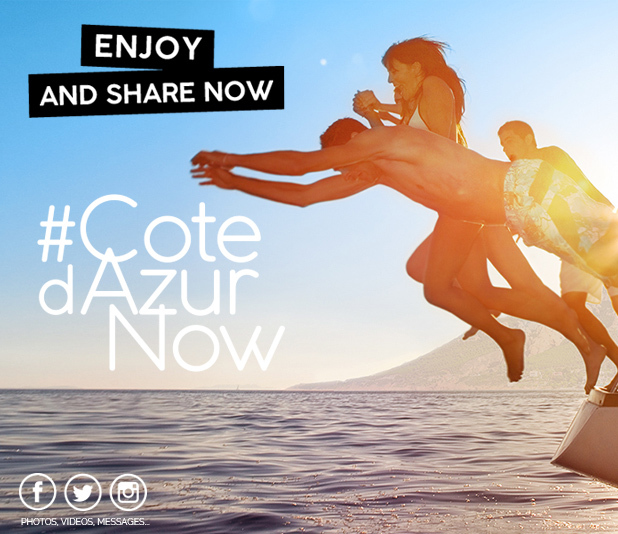 The Côte d’Azur Card Pass users are our best ambassadors! They came across this tourist pass on weekends or on holidays in the Côte d’Azur, and couldn't wait to share their experiences with us. You too can become one of our ambassadors! Very practical and easy to use! It avoids having to pay for entrance or for tickets every time. A super way to discover the Côte d’Azur with your family without breaking the bank! I recommend it! Alain C.
It's a real bargain at €39. It allows you to do plenty of things, visit all sorts of locations and try out different sports! I saved at least €40. It also gives you the chance to try unusual things and see the Côte d’Azur. There's something for every taste. For me it’s sports and the mountains, but there are museums, the sea, visiting the cities... It's all great! Last year we were the first to try it. We particularly liked the via ferrata in Puget, the tree-top 'accrobranche' adventure in Gréolières and the via souterrana in Caille. We even went to the Lérins islands for a day. We soon used up the 3 day pass, and we had a great time! We're going to do it again at the end of May 2015! Thank you Côte d’Azur Card! Séréna S.
Super. This offer meant that I could try out activities that I would never have thought of doing, free of charge! It's true! The Côte d’Azur Card is the greatest!!! Salvatore C.
It's an Excellent way to experience the Côte d'Azur, and save money! Simple to use and above all with a wide range of activities which all the family loved ;)	Elisabeth C.
The card soon pays for itself, even more so now we can use the activities of the 3 day pass over a period of 6 days. This gives us a chance to rest in between two busy days. A really good innovation! Jean-Louis G.
With the Côte d'Azur Card we saved a lot of money and made the most of the existing activities and leisure activities... the card meant that they were more accessible Clémentine C.
The Côte d'Azur Card lets you try activities that you wouldn't necessarily have considered, whilst seeing how diverse the Côte d'Azur really is! Cécile D.
The choice of activities is very varied. The Côte d'Azur Card soon pays for itself. The only drawback last year was the 3 consecutive days condition. The changeover to the Liberté system means that now you can use the card over a 6¬ day period. It's a very, very positive move and easier to use, especially with children. Excellent value for money. Amandine C.
Really varied activities! This pass not only allows you to try out new activities, such as canoeing, but makes places with expensive entrance fees, like the Fondation Maeght, affordable. Sophie R.
With the Côte d'Azur Card, in one weekend I managed to visit Vieil-Antibes, the Musée Océanographique in Monaco as well as the exotic garden, and finally an hour of canoeing. All at an unbeatable price. If time had allowed I could have done much more! I recommend this card for weekend trips or for your next holidays! Journal d’une niçoise.